What can happen over a coffee! As with many entrepreneurial stories, a chain of serendipitous events often leads to the rise of a new venture. A few months ago, I had the chance to meet someone at a networking event like we all do regularly. We both thought what the other was doing sounded interesting, so we agreed to meet soon to learn more. 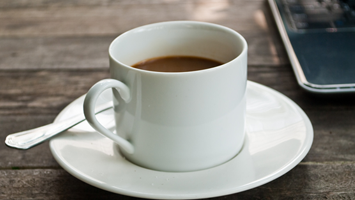 After a great conversation over coffee (what entrepreneur doesn’t love meeting for coffee! ), we were off to take care of other tasks. We agreed to make some connections that may help each other out and meet up again in the periodically future to keep up on each other’s progress. That same scenario plays out regularly across the world. You can never have enough friends when you are an entrepreneur, and chatting with interesting people leads to interesting outcomes. Fast forward to two weeks ago. I was sitting in on a recent discussion, listening to people speak about the difficulties of starting a business, the challenges of getting exposure for their business and the lack of engagement from certain groups in coming to events. I didn’t think much of that discussion, everyone was just talking about “the way it is”. But over the next few days, my mind kept coming back to the discussion. Most people trying to start a business have a big learning curve to climb. Few of us are experts in everything and certainly aren’t up-to-date with the latest rules, programs and opportunities. Cutting through the noise and getting the attention of customers and consumers is a battle in this age of soundbites and 140-character messages. And, if we aren’t fighting fires and handling requests from clients at the end of the day, there is likely a family waiting at home that also needed to be cared for. And then suddenly, one morning, an email popped up. “Hey, It’s been a while, do you want to grab a coffee soon?”. I was in. “Sure. How about tomorrow?”. Meeting at the local java joint, we started updating each other on what’s been happening. Progress made here. Obstacles faced there. All the day in the life of entrepreneurs. 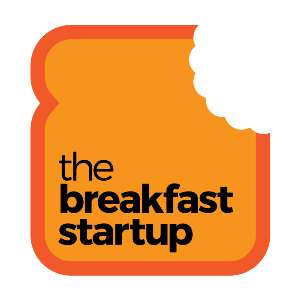 “I’ve got this crazy idea of launching a breakfast series focused on tangible solutions to problems that entrepreneurs face, which can help provide exposure to those companies to a wider audience, and a great breakfast means lots of free coffee! What do you think?”. I sat back looking for a response. “I love it!”. I launched into justifying this idea that was germinating in my head. I start by saying how I’m constantly having discussions with people about the same topics. Everyone is looking for the same type of help and that which they can relate to and immediately begin to apply to improve their operations. That one of the largest complaints is how most organizations fly under the radar of the press and their exposure is limited to those few they can meet at events or within their local community. Over the next hour, we chatted about the concept and ways to make the events interesting. We realized that regardless of whether people are starting a tech company, services business, social enterprise or charity, the process of building the organization is much the same. Perhaps more than just presentations, we could incorporate fireside chats, attendee participation, design-thinking workshops, and anything else that would help to build a community of people willing and wanting to work together. As they say, a rising tide lifts all boats and working together to share or exchange services and engage with each other would help that along. Long after the coffee got cold, it was time to part ways. Off to another meeting and handle the few crises that popped up while we were out blue-skying the new idea. We agreed to chat again soon … we’ll see where this goes!